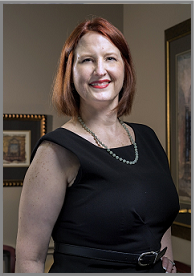 Ms. Anita K. Thompson received her associate’s degree in paralegal studies from Houston Community College in 2002, graduating with highest honors, and has been a pivotal part of the Farner & Perrin, L.L.P. team since 2007. She is the face of the Firm, shepherding clients in and helping them get started with the process, also aiding them at the conclusion of the engagement to assure they have their executed legal documentation in order and accessible. She fields client inquiries and points them in the proper direction, always with care and thoroughness, not to mention effervescence. Anita is a voracious reader and a writer, with an artful style and dry wit. Her warmth makes everyone around her feel at ease, and she is a critical member of the Firm.